Pip Bartlett, the girl who understands the speech of magical creatures, is back in another silly adventure. This time, Pip and her friend Tomas visit the Triple Trident, a fabulous show for magical animals. She's hoping to cheer for Regent Maximus, the overly timid Unicorn, but when somebody mysteriously starts cutting off Unicorn tails, the kids must add sleuthing to their skill set. 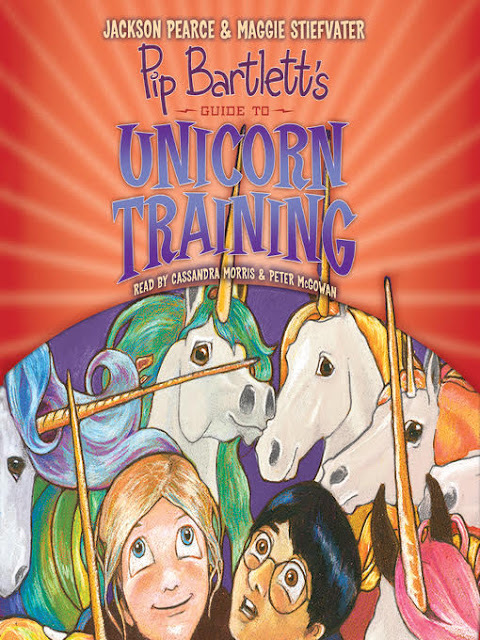 As in Pip's first adventure, the narrative is interspersed with pages from Jeffrey Higgleston's Guide to Magical Creatures, which offers interesting, but not always accurate, information about creatures such as Unicorns (bulletproof skin), Rockshines (invisible when nervous), and Greater Rainbow Mink (always weighs 17 pounds, nobody knows why). The story is quick moving, not entirely predictable, and lots of fun. Recommended for readers who love animals (magical or otherwise) and anyone else who enjoys a lightweight, playful tale. Ages 8 and up.